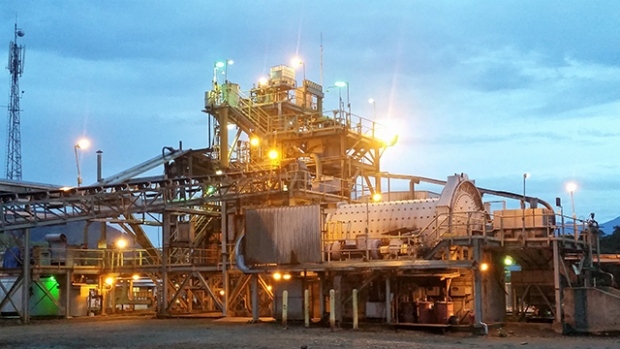 K92 Mining, the fast emerging gold producer that purchased Barrick’s Kainantu Gold Mine in Papua New Guinea during 2015, has just announced multiple high grade intercepts from drilling in the Irumafimpa area of the project. The current grade control drilling program is focused on the areas of Irumafimpa and is designed to bring a high degree of confidence to the production planning and scheduling. K92 plans to mine this area in the coming six months. The closed space drilling pattern of approximately 15 metres by 15 metres has significantly increased the confidence in this sparsely drilled area, with most holes recording high grade intersections. Approximately 80 per cent of the holes completed to date have recorded multiple high-grade intersections, indicating the presence of multiple parallel to sub parallel high-grade veins. The results from this drilling are used to finalize the various stope and ore development designs, and provide updated information on projected production from the areas in terms of tonnage, grade and contained ounces. The drilled grade control holes are situated at the lowest point in the underground that K92 plans to mine, and are also at the southern edge of the known resource that was previously only drilled on a 100 metre by 100 metre pattern. K92 trades on the TSX Venture Exchange with the symbol KNT, in the United States (KNTNF) and in Germany (92K).